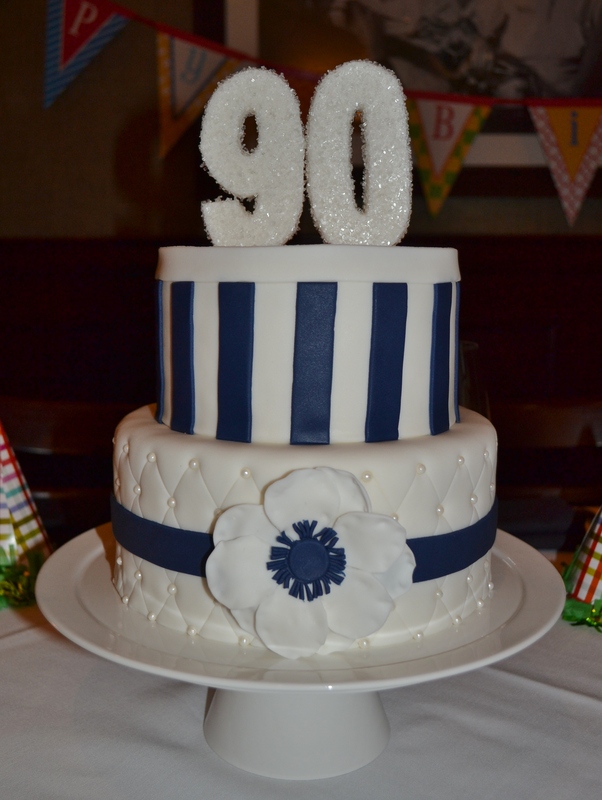 My client for this cake was throwing a 90th birthday party for her mother. When she came to me, she wasn’t exactly sure what she wanted, so I worked with her extensively to figure out the perfect cake. Her mom is a very sophisticated woman and she wanted to have a sophisticated cake to match, so I sent her a few very different ideas to pick from. 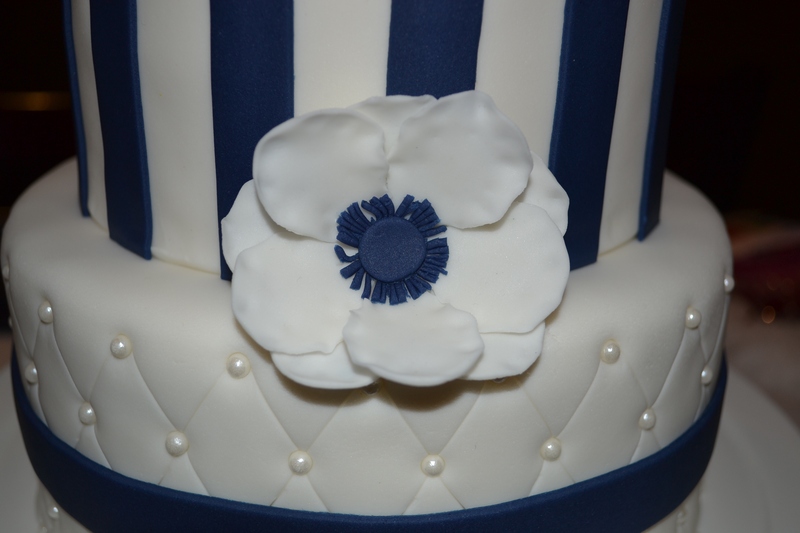 Once she had a basic idea, we then tweaked the specific elements (colors, flower vs. bow, polka dots vs. stripes, etc) and decided on what is in my opinion, a very classic navy and white cake. I used the quilting technique for the bottom of the cake and accented it with a flower (and added another one to the back of the cake) and then did a simple vertical stripe with a band around the top. Of course, it had to be topped with the “90” for the celebration!